Feb. 8, 2018—Vanderbilt University School of Medicine (VUSM), the Vanderbilt Institute for Global Health (VIGH) and the Vanderbilt Eye Institute (VEI) have joined forces with partners in Liberia to strengthen medical education and increase access to ophthalmology care in the aftermath of the 2014-2015 West African Ebola epidemic that killed more than 11,000 people. Sep. 8, 2016—A multi-center research team including scientists from the Vanderbilt Vaccine Center has come up with a clever “Trojan Horse” strategy for thwarting the highly lethal Ebola virus. Mar.  10, 2016—Vanderbilt University Medical Center’s Office of News and Communications has received national recognition for its efforts to educate and inform the general public during the 2014 Ebola virus disease outbreak that sparked fear across the nation and around the world. Jan. 21, 2016—There may be a “silver bullet” for Ebola, a family of hemorrhagic viruses, one of which has killed more than 11,000 people in West Africa in the past two years. Sep. 24, 2015—Two survivors of a 2014 Ebola outbreak in Nigeria visited Vanderbilt University Medical Center last week to share their experiences and participate in a study aimed at finding ways to treat the often-fatal infection. Sep. 10, 2015—Three Nigerian physicians who survived Ebola virus disease in July 2014 after coming in direct contact with an Ebola-infected patient will speak at Vanderbilt University Medical Center next Wednesday, Sept. 16. Apr. 23, 2015—Ian Crozier, M.D., a 1997 graduate of Vanderbilt University School of Medicine, and a former Vanderbilt resident, chief resident and fellow, spent three weeks treating 60 to 80 Ebola patients a day in Kenema, the epicenter of the Ebola epidemic in Sierra Leone.